Tom Yum Tater Tots , Sacred Soba Bowl, Thai Crepe Dumplings and More. Ask any vegetarian or vegan who’s traveled in East or South East Asia and they’ll tell you that when there’s a meat-free option on the menu, it’s usually a herb-packed, oil-infused, great tasting parcel of goodness. 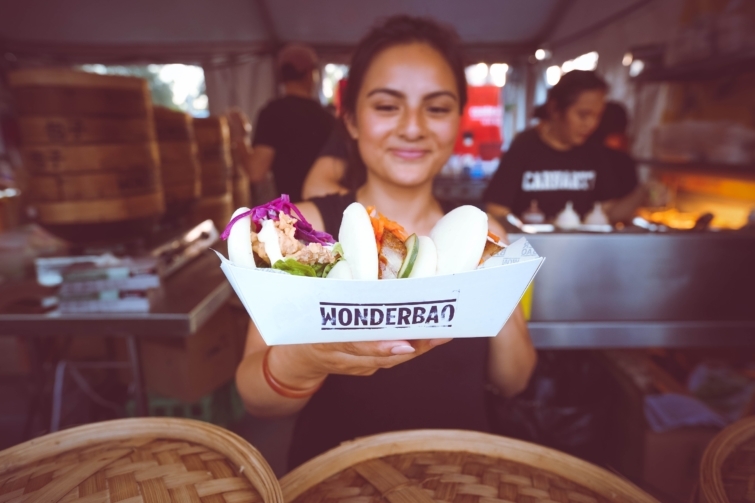 All great hawker markets have vegetarian and vegan specialties – and Sydney’s Night Noodle Markets boasts a massive selection. Here’s our guide to being a lean, green, plant-based eating machine. Little Turtle is a vegan eatery in Newtown, so plant-based foodies are going to love the full vegan menu they’ve rolled out for the Night Noodle Markets. From Sticky Sesame Wings (lightly battered cauliflower coated with sweet homemade soy sauce and sprinkled with sesame seeds), to Thai Crepe Dumplings (Tofu, mushrooms, asparagus served with sweet soy chilli sauce), to Herbed Mushroom Bruschetta (Crispy mushrooms and tofu scramble served with sweet plum sauce) you’ll be a lean, green, feasting machine. Don’t miss out on their Pad See Ew (pictured) and Green Curry Fettuccine (fettuccine stir-fried with green vegetables and basil poached in a rich and aromatic coconut green curry). Oh, and if you haven’t checked out their Instagram yet, do yourself a favour and have a peek for some of the loveliest food pix on the webs. Rou Jia Mo roughly translates to ‘Chinese hamburger’ and predates Ronald McDonald by about 2,500 years. That’s right, the Chinese were, technically, the first to pioneer the humble burger, and these guys right here are tasking it to the next level by adding a twist of western influence. Non-meat eaters will love their Tom Yum Tater Tots, served with spicy mayo, chilli, coriander and lime. This is all for you, vegans! Meet the choi mini bao; shiitake mushroom, tofu and mixed vegetables in a bao softer than cloud. Designed for maximum taste and minimum bad stuff, this bao will get you weak at the knees. The legends at Chinese Dim Sum King have a whole host of staples available in either vegetarian or vegan options. If you have a hankering for dumplings, grab either the mushroom or vegetarian to curb that craving. There’s also fresh and fluffy red bean buns, as well as vegetarian spring rolls too. Plenty to share with your veggo or ‘flexitarian’ mates (carnivores who go green when the meat-free option is epicly awesome). 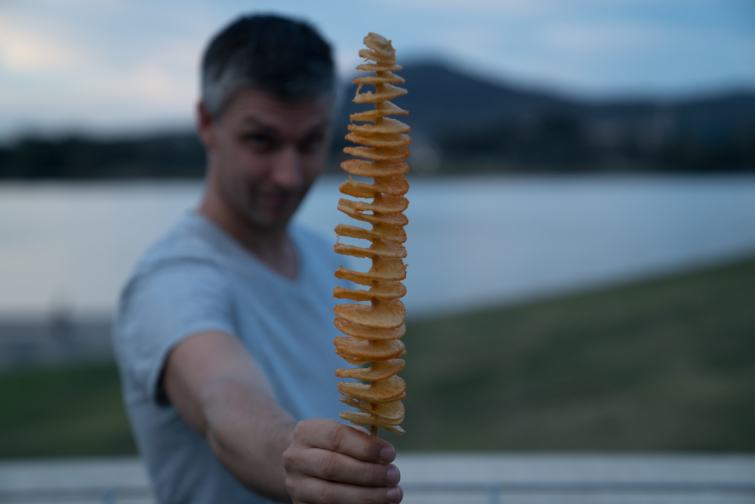 The Korean twist potato is the edible version of a retro slinky; fresh hand-cut potato is spiraled and shaped on a stick, deep-fried and finished with various seasonings. First, butter is added to the wok. When it’s molten, garlic is dropped in and sizzled until it’s almost crisp. Noodles are thrown in, mixed around and a teriyaki-like sauce is added. It’s all tossed wildly until the heat of the wok has given everything a smoky flavour and a buttery sheen. It’s then taken off the heat to receive a topping of shallots, pickles, veggies and a squiggle of mayo. Simple and perfect. Vegans, vegetarians, flexitarians – you’re about to experience Nirvana. Let us introduce; Kadala, an Indian stir-fried curry, with chickpeas, curry leaves, chilli and mustard seeds. This is like a warm, loving hug for your tummy. These wheat-based noodle bowls are filled with baby corn, zucchini, capsicum, celery, tofu, fried onion and a sprinkle of love from Mama Nam herself. They’re peanut-free and full of flavour, so get-set, chopsticks, GO – because you don’t want to miss this bowl of noodley goodness. Now while you’re here, follow Mama on Instagram to keep up to date on her latest kitchen creations. It’s moments like this we’re glad South-East Asian food is dairy-free. This classic Vietnamese dish is all you need in a meal; a vermicelli bowl with a fresh party mix of lettuce, bean sprouts, cucumber, pickled carrots and mint, topped with Grumpy G’s secret marinated tofu, garnished with peanuts and shallot. Or try their lemongrass tofu hand-rolled rice paper roll filled with vermicelli, fresh herbs & salad. Holler out to the all the vegans in the house! You’ll love a serving (or two) of Hello Auntie’s Banh Khot – that’s their coconut and tumeric pikelets. 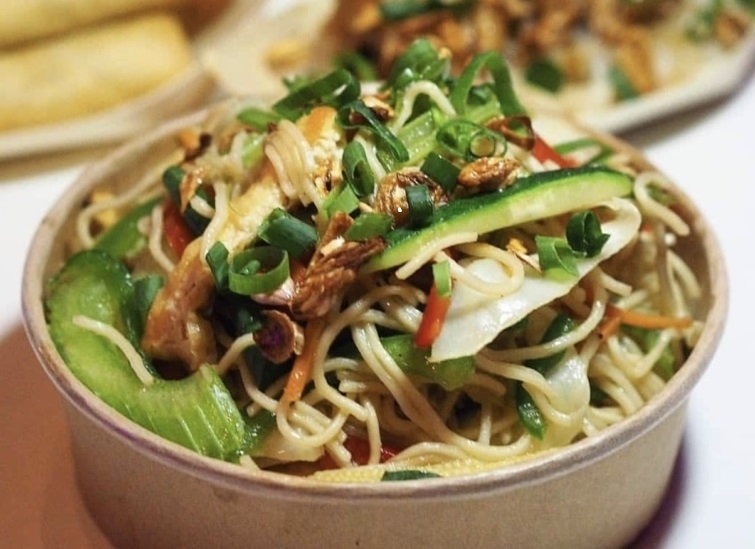 Vegetarians can feast away on some Mi Kho – egg noodles in garlic, chilli, soy dressing, served with vegetarian skewers. Hello Auntie! And also.. thank you, Auntie. Your recipes are awesome. All hail Pad Thai! 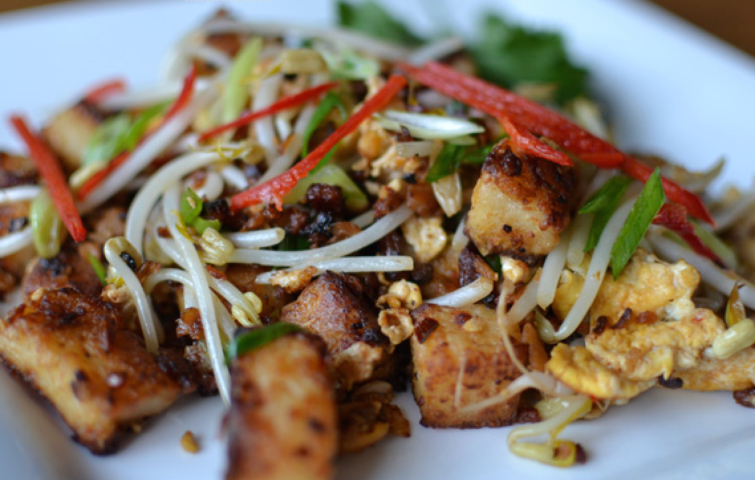 This version comes steaming hot, fresh from the wok, stir-fried with tofu, crunchy veg and egg fried rice noodles. As for Bangkok Street Food’s Long Potato, think of it as the longest, giant hot chip you’ve ever seen. Both of these dishes are tasty, delicious and awesome to share (if you bring yourself to share). Kanin is a super agile dish of steamed rice served with atchara that can be used as a side dish for just about anything at the Night Noodle Markets. Atchara is a common Filipino dish made from grated unripe papaya, and is often served as a side dish for anything fried, grilled or barbecued (which Hoy Pinoy are masters at!). If you’re a strict noodle-lover, this one’s for you. Silky noodles, fresh, hot and smokey straight out of the wok to your plate (SQUAD WARNING – these noodles are so good they may render you reluctant to share). 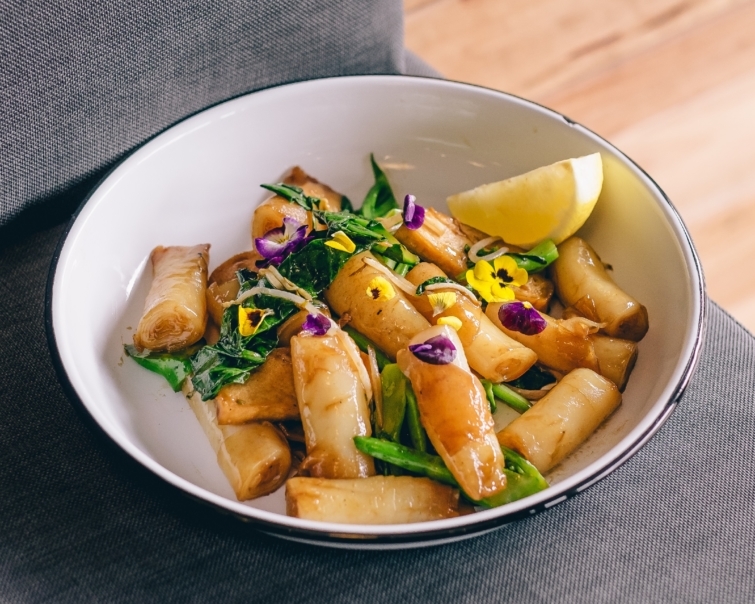 If you haven’t tried May’s fried radish cakes, pop it on your Night Noodle Markets bucket list right now because they are to die for! May’s special fried radish cakes are a much-loved hawker favourite that are especially great for sharing with friends under the stars. This is a religious experience – in a bowl! The vegan soba bowl is all about the sautéed zucchini & king brown mushroom on a bed of crispy noodle slaw salad, spiced roasted pumpkin, vegan hemp wasabi mayo with a side of organic sweet potato wedges and house made silken tofu tzatziki. Praise be! You’ll be floating in heavenly deliciousness. 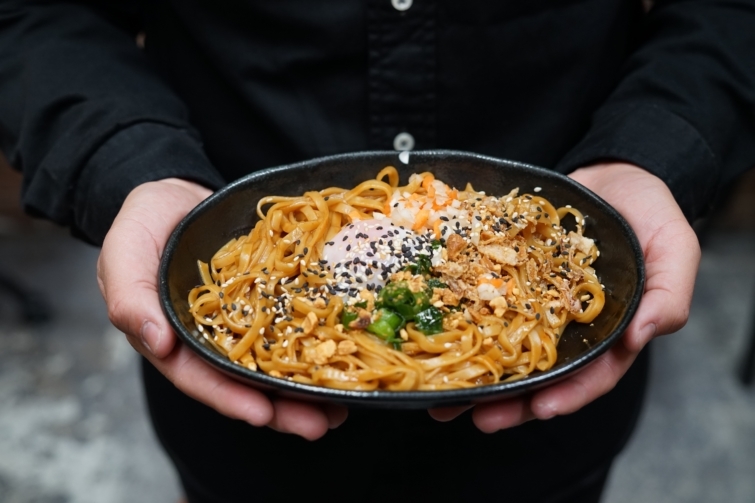 Because Good Food Month is celebrating 20 years of unforgettable food events this year, we’ve been given our own rotating restaurant at the Night Noodle Markets called Lucky 3 Asian Eating House! For the first six nights, the hatted Spice Temple will be in the house! Followed by the masters of Malay Mamak, then finally MasterChef 2017 winner Diana Chan. Lucky 3 Asian Eating House can only be found at this year’s Sydney Night Noodle Markets, so now you have three excuses to visit the markets three times in October! 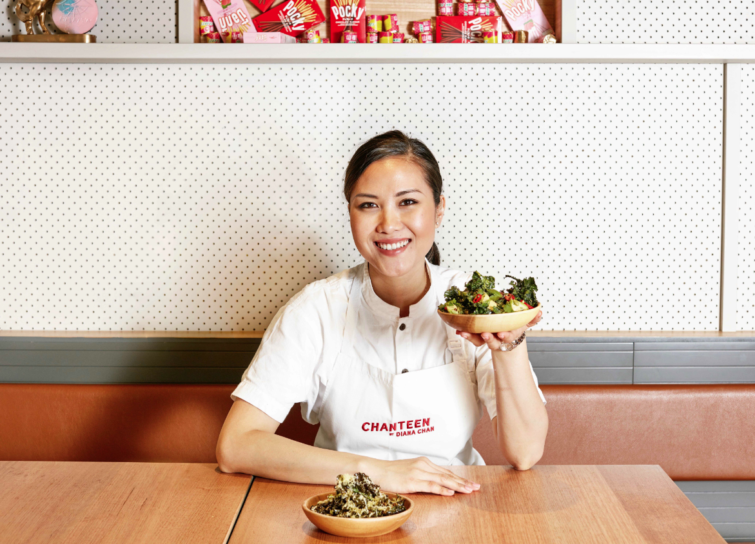 The madam of modern Malaysian cooking and winner of 2017 MasterChef will be in residency at the Night Noodle Markets special pop-up the Lucky 3 Asian Eating House from October 15-21. Her dumplings are off the chart and there’s a special vegetarian option so plant-based eaters can relish in her culinary awesomeness. 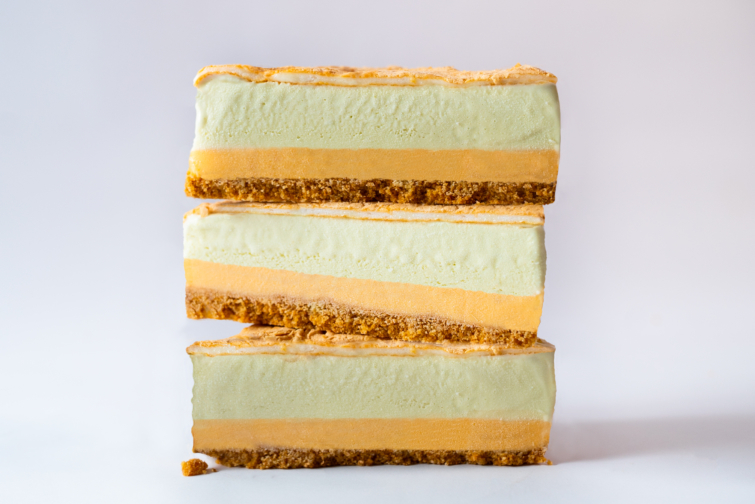 Perhaps we’re being a bit cheeky here, slipping in dessert in an otherwise oasis of savoury treats, however, given the OMG-ness of these sweet treats, we’re willing to risk it. The Jolli P – Welcome to tropical paradise! 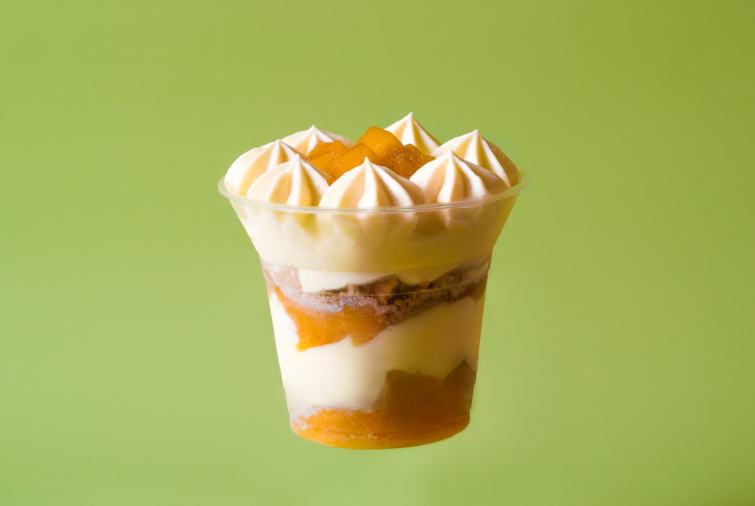 There’s mango salsa, mango jellies, peach jellies, and condensed milk chantilly cream topped with graham cracker crumb. 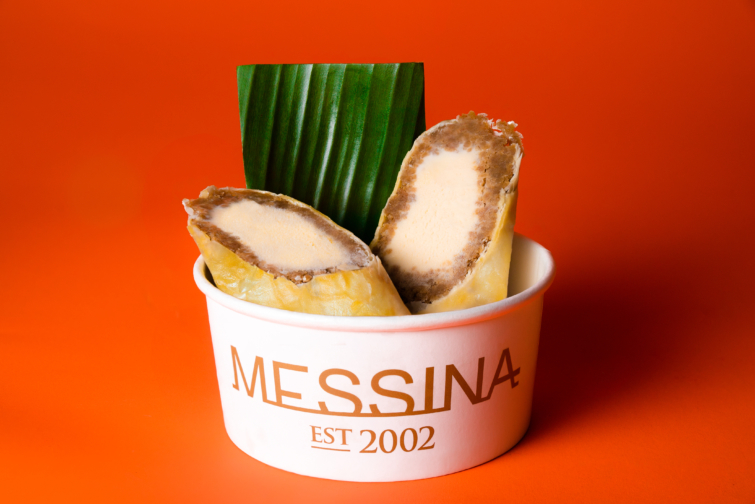 Brazo De Messina – Like an ice cream sandwich for grown-ups… Layers of pandan gelato, baked meringue & condensed milk custard sandwiched between a graham cracker crust. Thrila From Manila– We. Can’t. Even. Brown sugar banana gelato & banana bread wrapped in filo pastry, deep fried then topped with custard and chocolate peanut butter crumb. Allo’ Allo’! 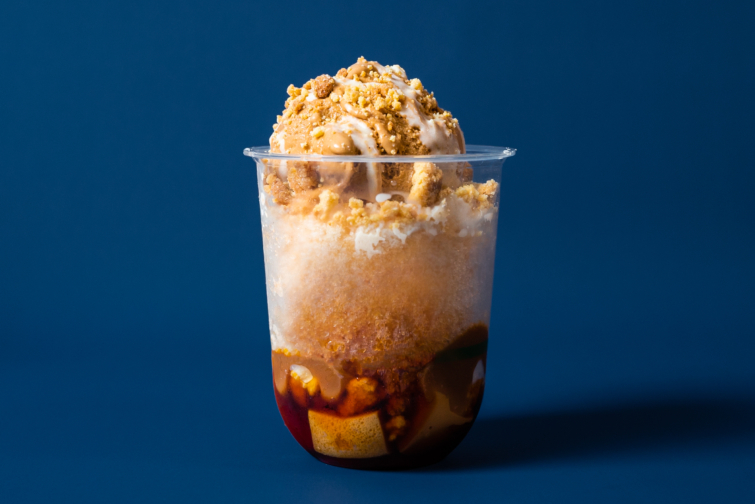 – When you want everything in life to be caramel, we give you… Caramel leche flan, caramel syrup, caramel sauce, toasted milk crumb, caramel shaved ice, evaporated milk & dulce de leche gelato. This bad boy is a traditional yeast-raised donut, rolled in sugar and filled with homemade custard that’s a mix of ube (sweetened purple yam) and pandan. Also available in Nutella and jam as well because… Nutella. Simple. Refreshing. The best. 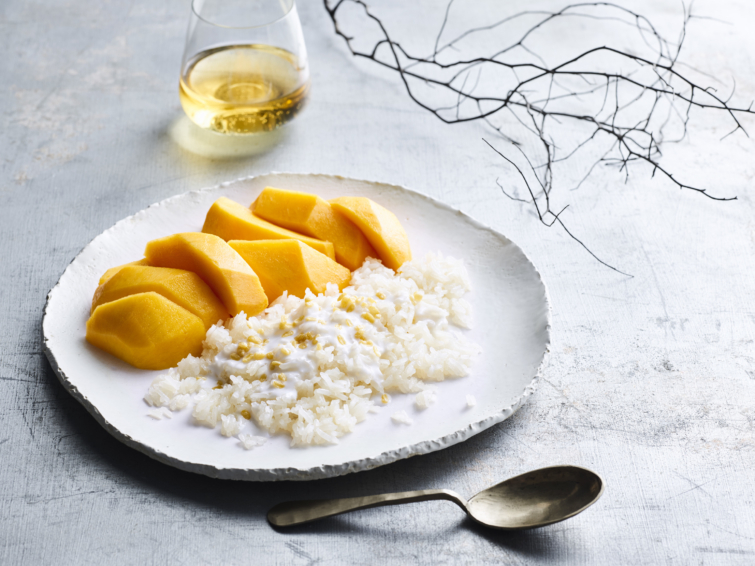 Is there anything better than fresh cut mango with sweet sticky rice? 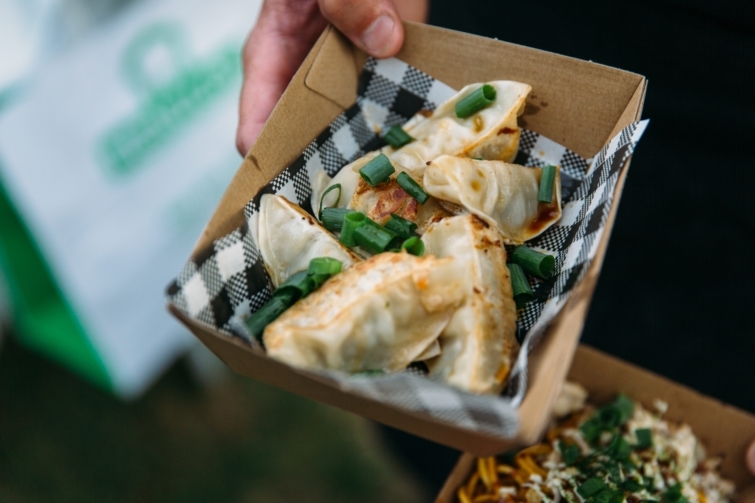 So to all our vegetarian, vegan and flexitarian friends, we hope you love this year’s Night Noodle Markets, which is packed with plant-based goodness. Remember to ask your friendly stallholders if they have vegetarian and vegan options as well – they might have a few more dishes up their sleeves that they can modify to make it veg-friendly. 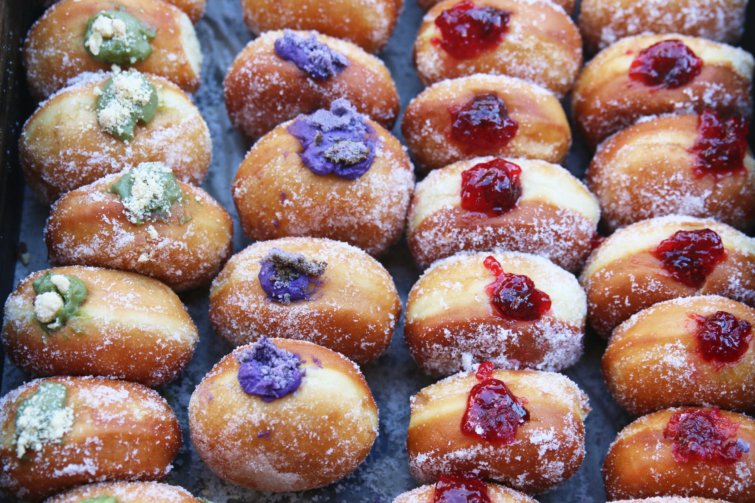 Check out the full list of menus for the Sydney Night Noodle Markets here. 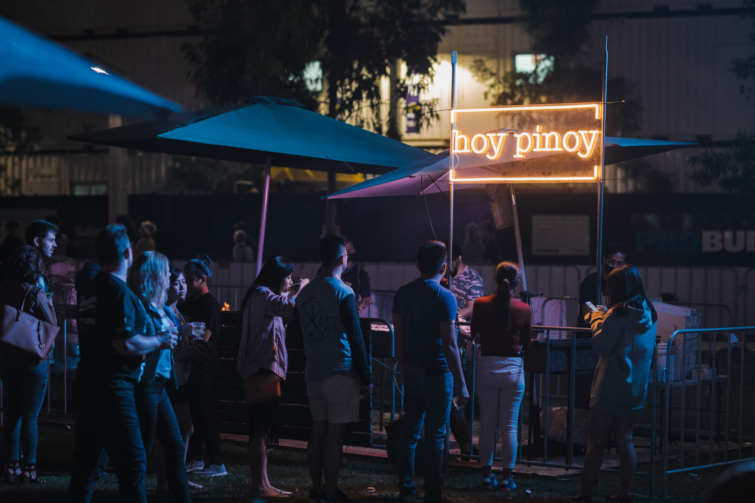 The Night Noodle Markets are in Hyde Park, every night from October 4 – 21. Stallholders are cashless so don’t forget to bring your cards. Entry, as always, is FREE! And we’d love for you to share your noodle love by posting your photos using #NightNoodleMarkets & #CelebrateWithCiti. Bon appétit!